Help us tell the inspiring story of New York's last arcade, Chinatown Fair, and the community that called it home. 498 backers pledged $29,288 to help bring this project to life. 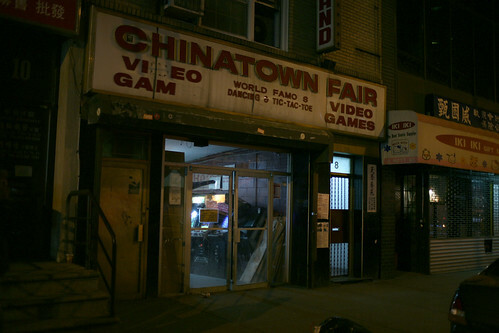 ARCADE: THE LAST NIGHT AT CHINATOWN FAIR documents the final week of New York City’s last arcade, Chinatown Fair. 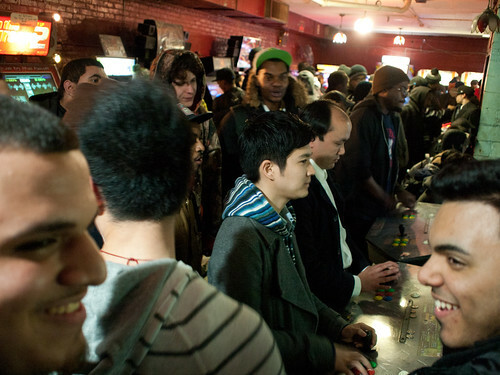 The film follows the community of spirited gamers as they make their way from Manhattan’s Chinatown to their new home at Next Level in Brooklyn, an arcade started by Chinatown Fair’s former manager Henry Cen. The film will be a portrait of the subculture that occupied a strangely beautiful place that is no more. That's why we are making this movie-- to preserve and share a special time and place unaffected and authentic in a way that you don't see very often. We filmed at the arcade during its last week in operation and since then we have interviewed many members of the community and documented the beginning of the new scene at Next Level arcade. We are still exploring the story and have a lot more shooting to do! As we progress the more interesting it becomes. Chinatown Fair stood its place at 8 Mott Street for over fifty years. It saw the rise and fall of Chinatown tongs, persisted through numerous wars, financial downturns, and outlasted most of its kind - arcades that have been phased out by Xbox's and Playstation's and replaced with corporatized family fun centers like Dave and Buster's. What Chinatown Fair would be unprepared for was the gentrification of its neighborhood. The arcade was dim and lived-in like a familiar living room or basement, but also part boxing gym -- gritty, unpolished, and utilitarian. It was a place with a singular purpose, to provide an arena for intense and passionate competitive play. The arcade was a training ground for some of the best players of all time. Justin Wong, Eddie Lee, Henry Cen, Arturo Sanchez, Sanford Kelly, Michael Mendoza all grew up playing at CF. Chinatown Fair was also the rare place tolerant of all types, resulting in a community that was as diverse as New York itself. And in many ways I don't believe CF could have existed anywhere else. It had to be in New York and had to be in Chinatown. The arcade was the embodiment of its surrounding. Everyone felt welcome and was accepted. Not everyone came soley for the video games. A group of LGBT trekked from the outer reaches of the city to the arcade on a daily basis simply because they felt safe there. The arcade was a dysfunctional harmony of noises and flickering light, and uproarious banter. We are raising money on Kickstarter to fund our production and post-production budget which will cover equipment rentals, sound mixing, scoring, graphics, editing, and a litle bit for marketing. We are still filming and as we go along we find new people to interview and new places to shoot. The movie is beginning to form itself. ARCADE will premiere in early 2012, play at festivals throughout the year, and then tour across the country. Then the movie will be made available for TV, online streaming and download. Please help us by donating and sharing the project with friends! We have put a lot of thought into the incentives and hope you like them. Be sure to check out the custom mix-tape and ‘zine featuring artwork from members of the NYC gaming community (if you would like to contribute let us know!). The t-shirt that Homage is creating to commemorate the arcade is also going to be really great. P.S. The video featured music by the producer Clams Casino and my friend Gabe Shray's band Grey Scarey. The project image you saw before playing the video is a photograph taken by Nick Carr (www.scoutingny.com). Thanks everyone! *Domestic shipping included in donation, for international shipping please add $5. Here is a mock up of the shirt Homage is creating! Available at the $30 level or even better at the $50 level with the DVD, download, and thank you in the credits! A digital copy of the movie and a big thank you with your name in the movie's credits! The DVD, which will be made from recycled paper and printed with soy-ink. Plus, all of above. 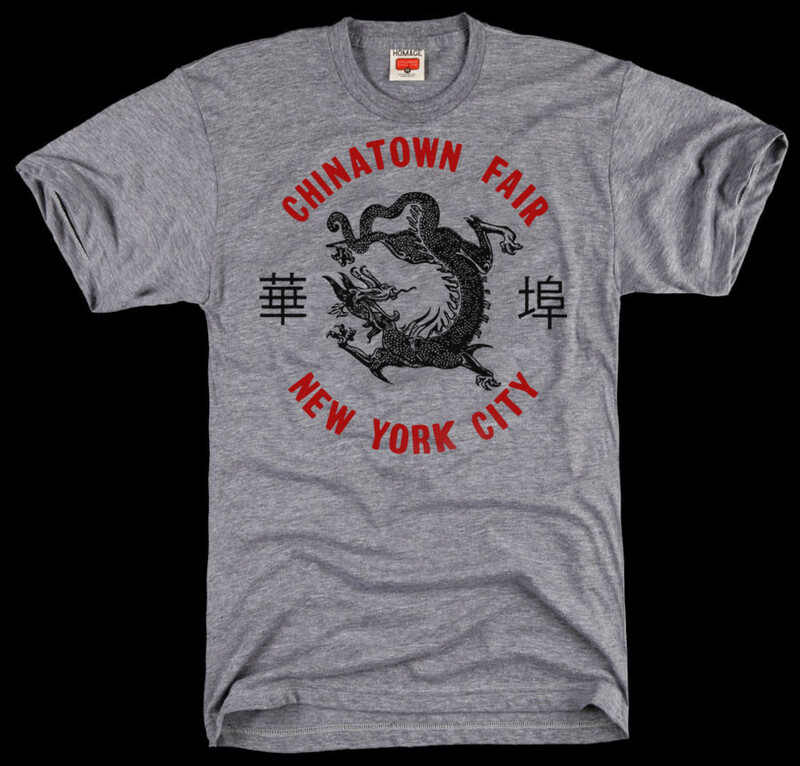 A Chinatown Fair T-shirt made by my friends at Homage Clothing! Inspired by the arcade token featuring a really cool dragon. The $30 level gets you the shirt, but not the other stuff. If you would like the shirt and everything above (DVD, download, and thank you in credits) check out the $50 level. A custom mixtape and 'zine featuring artwork, photography, and writing contributed by the Chinatown Fair community. The mixtape will be a custom mix featuring music and samples inspired by arcades, video games, and New York City. Plus, all of above. An awesome ARCADE movie poster (Box Office size)!! Plus, all of above. An awesome gift basket filled with toys, handmade coasters, handmade magnets, a Chinatown Fair shirt, a retro USB NES controller, DVD, mixtape, zine, homemade video game cookies, signed poster, soundtrack, PLUS two tickets to the NYC premier (or a showing near you). Executive Producer credit, which will be seen before the movie in the credits, in the end credits, and on the movie poster. Plus, all of above. A custom designed Chinatown Fair theme arcade cabinet! You get an authentic arcade cabinet for your home, decorated with artwork inspired by New York's greatest arcade!! Plus, all of above. (This reward is only available within the United States).